This week, Your News to Know rounds up the top news stories involving the gold market and the overall economy. Stories include: One finance executive explains upside to gold, 3 types of life-changing crises that’ll make you wish you had gold, and a rare gold coin to help pay for an Indiana church’s expansion. Almost a year ago, chief investment officer of Swiss Asia Capital Juerg Kiener presented his bullish case for gold, stating that the metal could reach all-time highs within the next 18 months. Last week, Kiener reiterated his standpoint, affirming his expectations for gold and telling CNBC that “from a fundamental point of view, I think we’re going to get a break out on the upside.” Kiener’s recent comments are focused on the medium term, saying the metal could break its first resistance level between $1,400 and $1,450 in the next eight to 18 months and move to all-time highs. Kiener dismissed the impact of the dollar and equities on gold and said the main driver for the price will be “the loss in trust of leadership and governments and financial markets.” The metal has already increased to its current price of about $1,280 from a low of $1,198 in March largely on the back of geopolitical tensions, and Kiener says this trend will likely continue, aided by an acceleration in physical gold purchases around the world. Indian Prime Minister Narendra Modi’s demonatization of the 500 and 1,000 rupee banknotes might have been that country’s top story in recent times, but Forbes’ Olivier Garret and Stephen McBride believe the more important one lies in gold. While Indians accepted the demonetization without much protest, a threat to ban gold caused them to take to the streets and riot, forcing the government to rescind and reassure the Indian population that the yellow metal’s status would remain the same. This shows that Indians understand the value of gold while also acknowledging that the rupee is, like any other currency, little more than a piece of paper. Despite gold’s famed role as an inflation hedge, Garret and McBride believe its role as a crisis hedge is even more important. Thus, they list three scenarios where gold can ensure your survival, both financially and literally. The first such case is any economic crisis, like the Great Depression. During that time, many Americans found themselves financially destitute, as their investments and economic growth reached their lowest levels. However, the acquisition of gold was peaking; since the gold standard allowed the redemption of paper money for gold, Americans flocked to the metal in record numbers, so much so that interest rates had to be raised to halt outflows. But this wasn’t enough to curb Americans’ appetite for gold, forcing President Roosevelt to ban private ownership of gold — thus further showcasing the metal’s appeal during a crisis. The second scenario in which you’d want to own gold is a currency crisis. Garret and McBride list Weimar Germany’s episode of hyperinflation as a perfect example of this – at its height, prices doubled every 15 hours and many Germans found their life savings rendered meaningless. 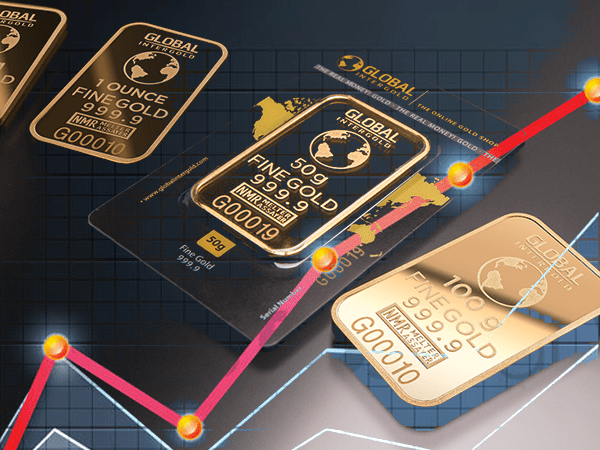 As Germany’s currency fell, gold rose equally as sharply; in the span of four years, the price for an ounce of gold went from 170 marks (the German currency) to 87 trillion marks, making gold owners the scarce minority to prosper in this new environment. Milder examples of this include gold’s 24% rise in pound sterling after the Brexit vote, as well as its 79% rise in the ruble in late 2014. The third scenario in which gold can ensure your financial survival is a banking crisis, such as the one in Cyprus that caused strapped-for-cash banks to raid customer accounts, taking 6.75% of deposits in accounts under €100,000 and 40% in those over €100,000 overnight and without warning. Again, during this time, those who owned bullion prospered – not only did the metal preserve their savings, but it also rose €50 priced in euros due to the crisis. Until recently, the $3.5 million expansion plan for GracePoint Church – one that includes an auditorium for more than 500, a kid’s center and a lobby – was just that, as the church needed $300,000 to secure a building loan. Then, a donation of a single gold coin helped the church put its plan to action. As seen on CBS News, the church’s anonymous benefactor is a woman whose late husband was was an avid coin collector – the gold coin in question is an 1866 Double Eagle $20 dollar gold coin that was never in circulation. While the coin was acquired for $125,000 decades ago, it steadily appreciated in value, and its current auction price of $300,000 or more will help the church get its much-needed foundation.